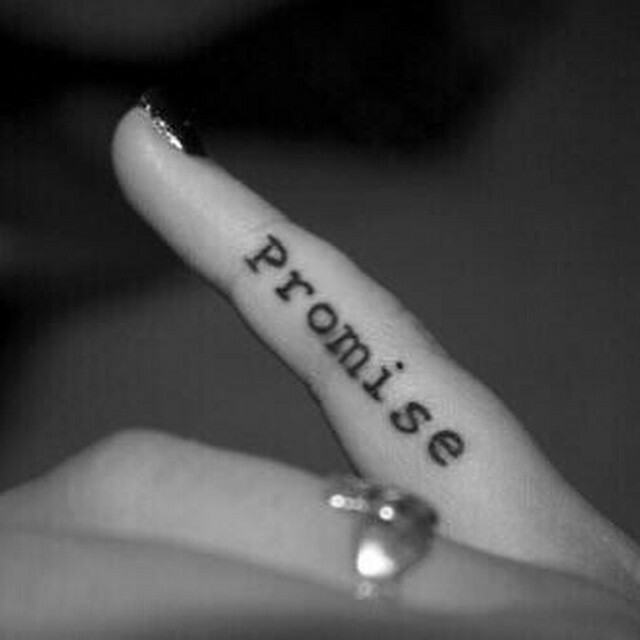 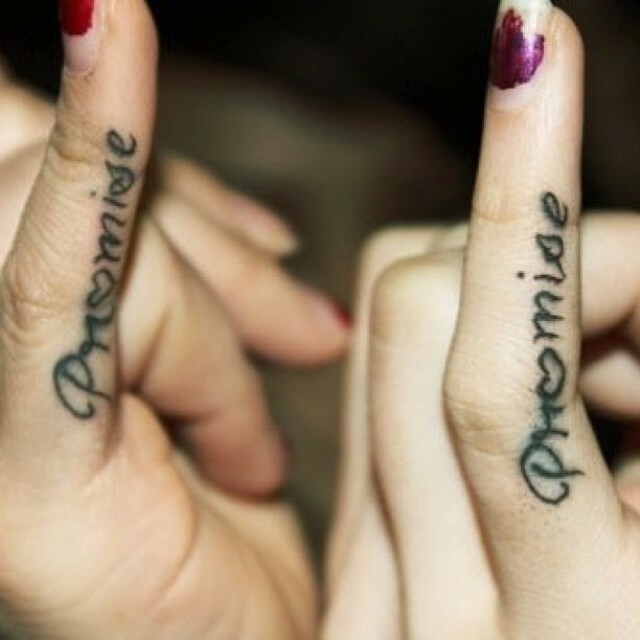 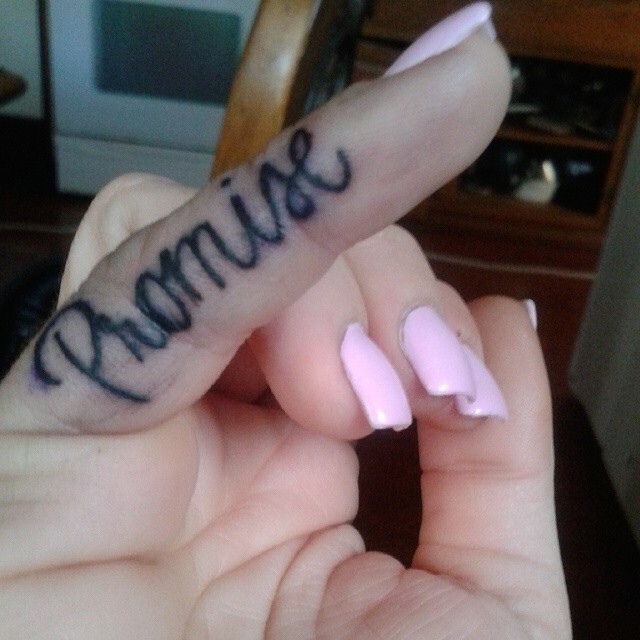 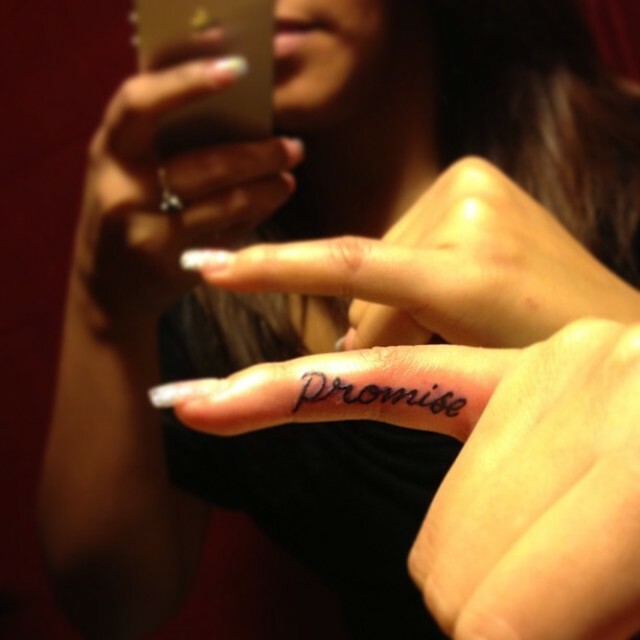 The promise tattoo is a symbol of commitment and we often look this kind of tattoos at the finger. 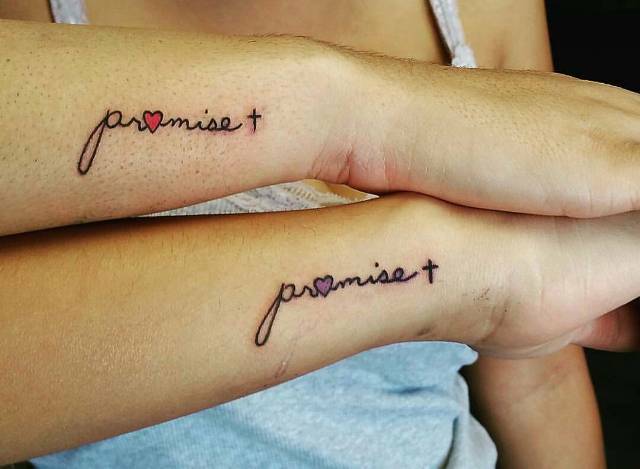 However, you can give away for many reasons: as a symbol of chastity, loyalty, friendship or even a promise to yourself to stay sober. 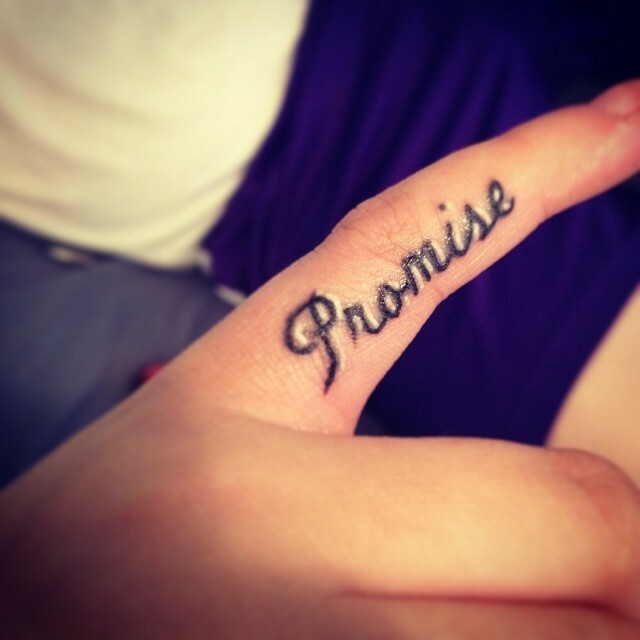 Almost everyone put promise tattoo on pinky finger of the left hand or the forefinger of his right hand. 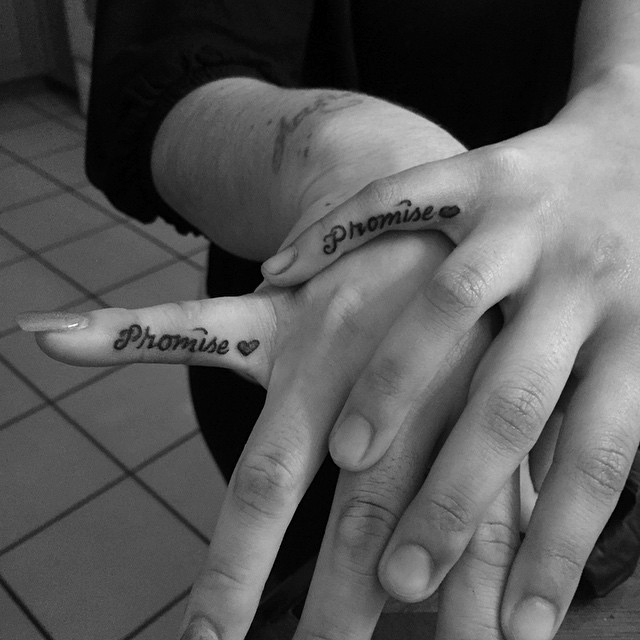 A promise tattoo symbols can be presented to a lover or friend for any reason, not only to symbolize a future commitment. 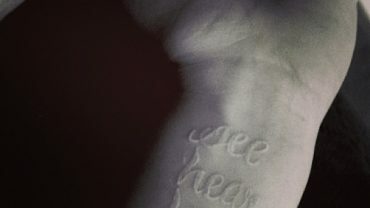 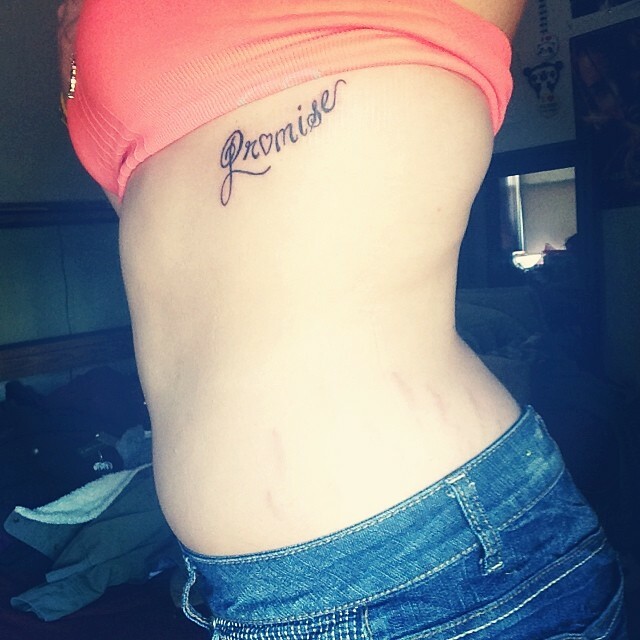 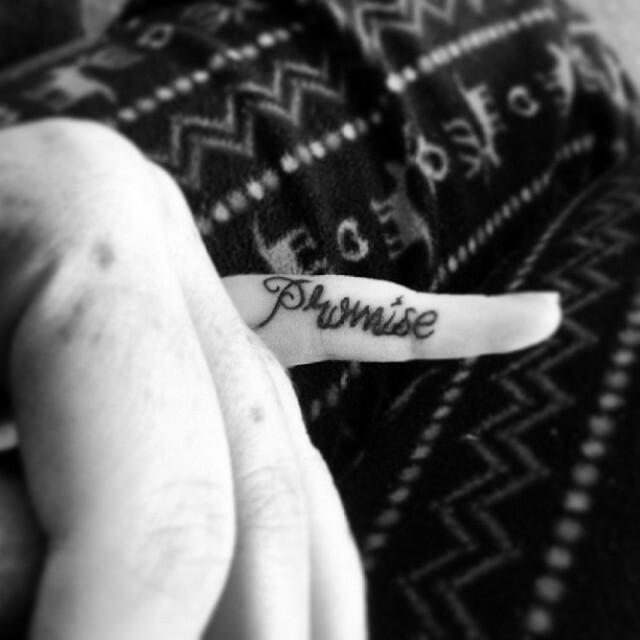 Promise tattoos can mean many things, like a promise of marriage, a declaration of love, one faith, or friendship. 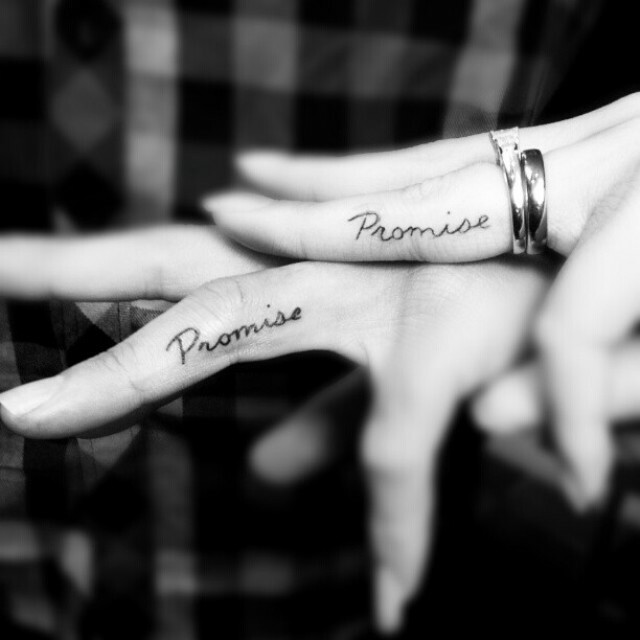 The friendship, abstinence, and religion are also used and exchanged, and are always used in the right finger. 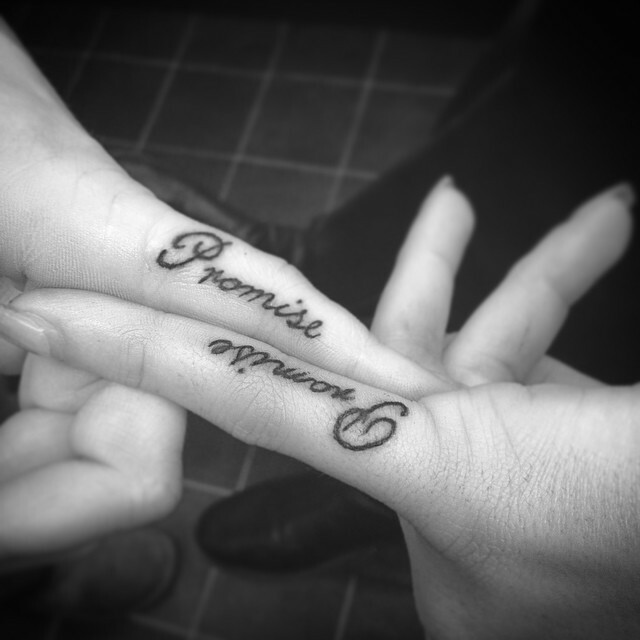 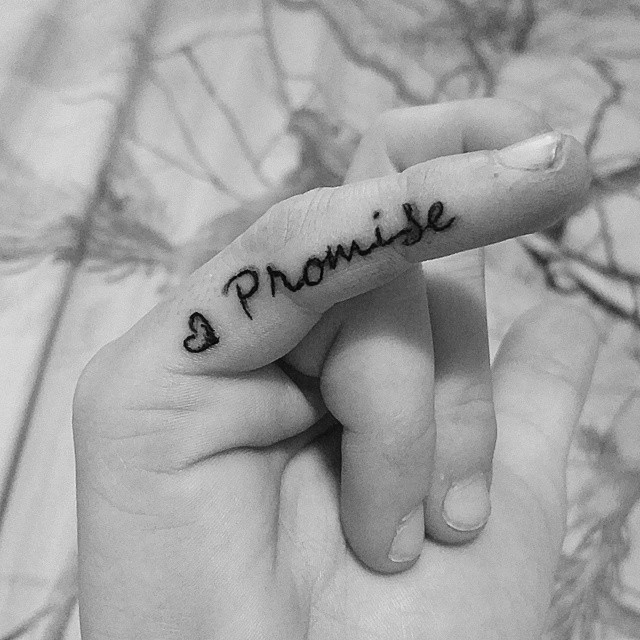 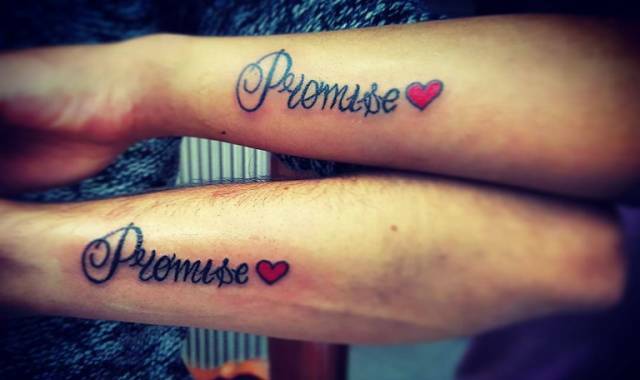 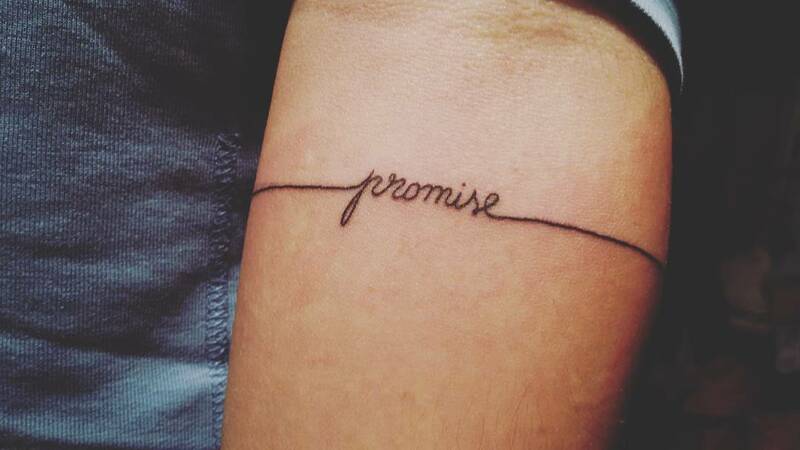 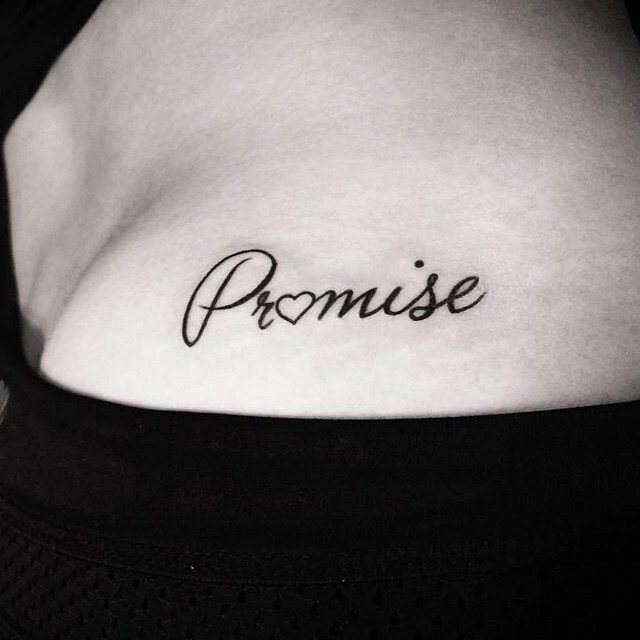 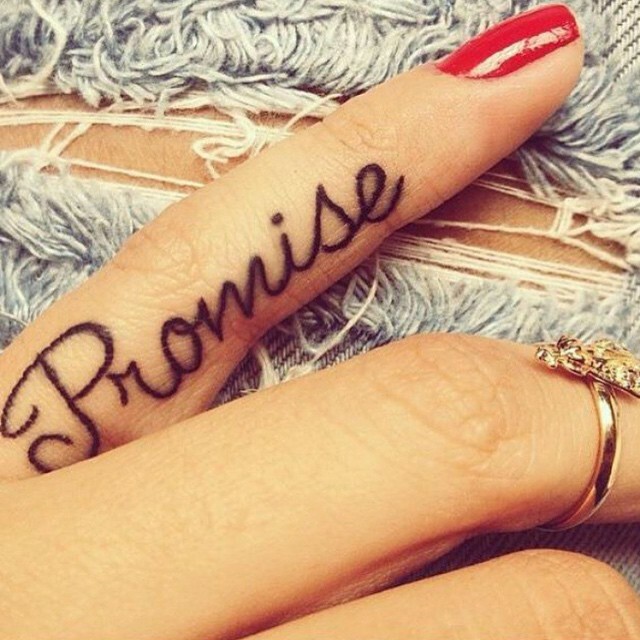 However, the meaning behind a promise tattoo depends on the couple involved.